OG Ron C, DJ Candlestick and the Chopstars have kept the music and spirit of the late DJ Screw alive through their massive catalogue of chopped and screwed remix tapes, and director Barry Jenkins can now count himself among those that have been "chopped not slopped." 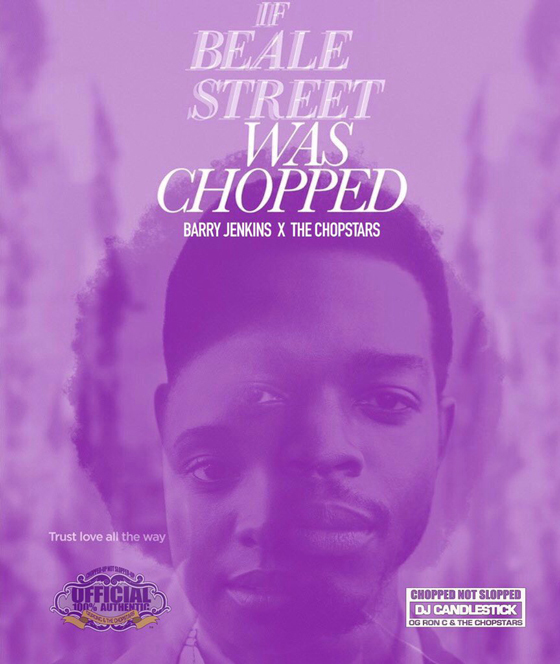 Jenkins has teamed with the Chopstars for a screwed-up take on the soundtrack to If Beale Street Could Talk, fittingly titled If Beale Street Was Chopped. You can take it in with the player below. On Twitter, Jenkins reminisced about "being a kid circa 1989 and going to the 79th St. flea market to buy Oldie Goldie tapes from the mixtape man...the spirit @BealeStreet was written & made in." Of course, DJ Candlestick and Chopstars member DJ Slim K also gave the soundtrack to Jenkins' Moonlight the same treatment back in 2017.